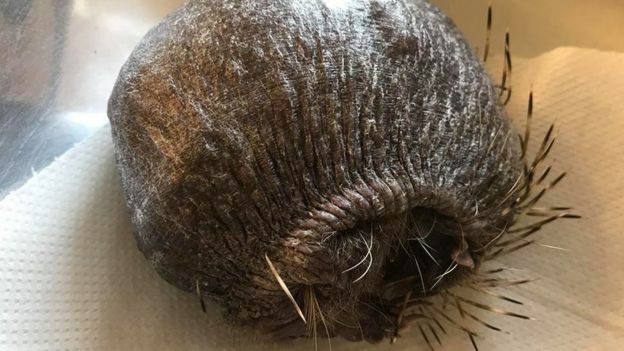 A bald hedgehog is having daily massages at a wildlife rescue centre in a bid to regrow his spines. Nicknamed Bear, the hedgehog was found in a garden in Madeley in Telford, Shropshire. 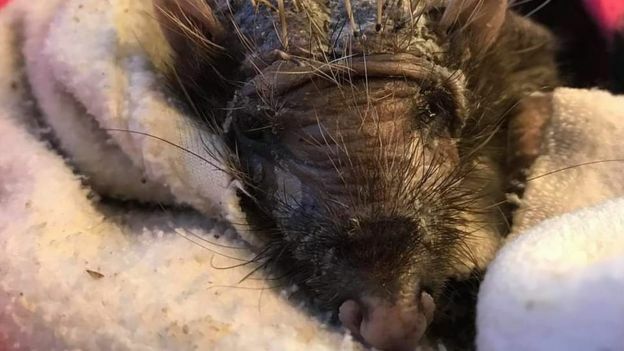 Staff at Cuan Wildlife Rescue said he had been suffering from a "terrible" ear mite infection, the stress of which likely caused his spines to fall out. He will need months of treatment at the Much Wenlock centre before he can be released. Centre manager Fran Hill, said Bear, who has also lost huge amounts of weight, is "holding his own". "He is eating very well which is a huge step on the road to recovery," she said. 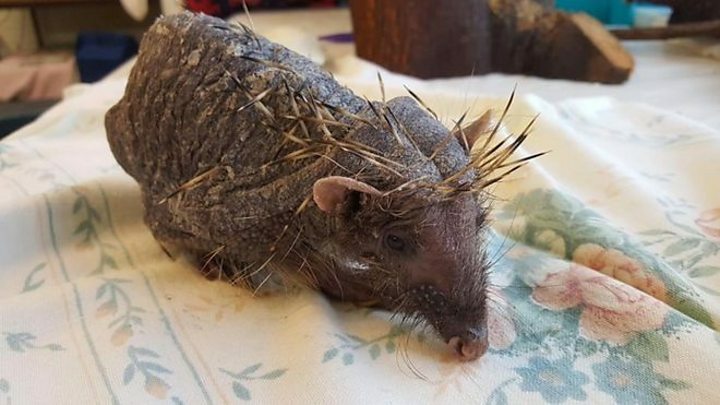 Bear will be having daily stress-relief massages with creams and a weekly bath to try and treat his skin and encourage his spines to grow back. Ms Hill added: "He was found in a back garden and the lady who found him thought she might have seen him the previous day but was a bit unclear as to what he was." Since sharing pictures of him, the centre has had numerous offers of donations to help towards his care. Where do I sign up to have my bald spot massaged?